After several unsuccessful attempts to build a Walmart in New York City, the mega store is again looking to expand and is reportedly in advanced talks with political leaders and construction agencies about plans to open using unionized workers. According to the Wall Street Journal, Wal-Mart has been courting the building trades, pledging to use union labor for any new construction. 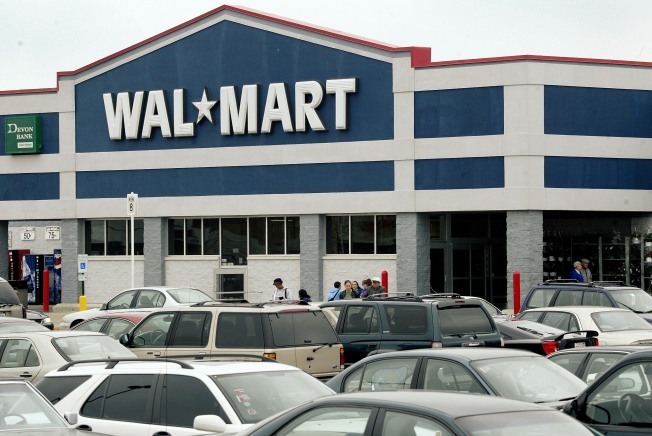 Walmart and the building trades have discussed our common interest in stimulating local economic development in the city," Steven Restivo, a spokesman for Wal-Mart, told the paper. The store's previous attempts to open in New York City -- including failed plans to build on Staten Island -- have been met with fierce resistance by unions that represent small business and grocery stores. A group called Wall Mart Free NYC says the stores "lower the standard of living in the communities in which they operate," and pay workers "poverty level wages." The store's latest New York City push will be the subject of a City Council hearing scheduled for January.